Get involved in your community – Volunteer With Us! Responsible for getting Alberta Street into tiptop physical shape, including physical improvements to buildings, businesses, and public spaces. Responsible for promoting Alberta Street as the place to live, shop, eat, and play for both residents and visitors. The promotion committee coordinates many community-building events in the district. Responsible for analyzing current economic condition and identifying opportunities for market growth, strengthening existing businesses, recruiting new, and supporting the overall health of the district. Responsible for ensuring the equitable distribution of resources and benefits. The Equity Committee was formed in July 2014. We are actively seeking community stakeholders to join our committees! If you are interested contributing your time and talents, please let us know. We ask committee volunteers to commit one year. Click Here to Fill Out a Committee Interest Form! If you are interested in becoming a Board Member, please review the following information about Board Member responsibilities and complete our brief application. Alberta Main Street considers application on a rolling basis depending on current vacancies and expiring terms. Our Mission: Alberta Main Street advances efforts to develop Alberta Street as a vibrant, creative, equitable, and sustainable commercial district serving residents and visitors to our community. We believe that our business district is distinctive. We believe that a community can only be as healthy, vibrant and active as its members are willing to make it. We believe that we can make an impact on the preservation of that which makes us unique. A demonstrated interest in our mission and goals. Specific experience in and/or knowledge of administration, finance, program development, advertising, public relations, district business activity, communications, design, or economic development. Representation of a public or private sector organization in, or active in the district. A significant time commitment of 8-10 hours per month. Term: Board members terms are two years. Collectively, the Alberta Main Street Board assumes legal and philosophical responsibility for all activities of the program. The Board is solely responsible for establishing program policy, approving the annual program budget and determining the goals of the program. Members are expected to serve on one or more of these committees. All Board Members have responsibility for governance, fundraising and being an ambassador of the program within the community. Support Board decisions, even when he or she may disagree personally with the majority decision. Understand the mission of Alberta Main Street and promote the goals and activities of the program to his or her own constituent groups and to the district as a whole. Attend and participate in monthly Board Meetings on the first Monday of every month @ 6:30 – 8:00 PM. Actively participate on Board work groups, specific activities or projects promoted by the Board, which may include: committees, fundraising, outreach and representation on behalf of the program at meetings and/or events. 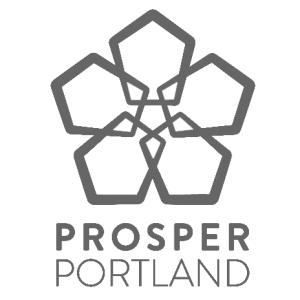 Attend the training programs and workshops held each year by Portland and National Main Street programs. Contribute knowledge, financial resources and labor to the Main Street program. Offer opinions honestly, without reservation and in a constructive way. Encourage staff and other Board members to express their opinions openly in Board meetings. Does not commit more time to the Main Street program than he or she can realistically contribute. Promote unity within the organization and seek to resolve internal conflicts. Encourage orderly, systematic and incremental implementations of our work plan, discouraging the Board from being distracted by secondary issues or projects not included in our annual work plan. Are loyal to the program and honors his or her commitment to it. Alberta Main Street must look at the future of Alberta Street from a holistic perspective and it is critical that Board Members are able to actively and effectively represent one or more constituencies in our community. Click Here to Fill Out a Board Application! Alberta Main Street is a nonprofit community organization focused on advancing the vibrant neighborhood we’ve all cultivated over the years.